A University of Cincinnati student trustee working on her PhD in neuroscience says while growing up she struggled to manage the seizures that would strike without warning. Diagnosed with epilepsy as a child, Christin Godale says she struggled in school. “It was really hard, to have a seizure as a kid in class.” She endured some bullying, and frustration with the unpredictability of her illness, to the point that she ended up finishing high school online. A neurological disease often with unexplained onset, epilepsy is defined by recurrent, unprovoked seizures. It can be a chronic and lifelong condition, affecting more than 3.4 million people in the U.S. alone. Now a doctoral student now into her third year at the University of Cincinnati working toward her PhD in the neuroscience graduate program, Godale says while growing up in Mentor, Ohio, her doctors were great first role models to her—supportive and very forthcoming in details to help her understand her illness. As she grew older, she saw the value in participating in raising epilepsy awareness: “At these events, I would see other little kids there who had epilepsy, and they would come up to me and ask, 'Can you drive, can you ever have a boyfriend, play sports, own a house…?’ As kids they thought that they would never be able to be independent. There is a huge stigma about being able to accomplish life goals while living with epilepsy. Godale, determined to never let her epilepsy keep her from life’s experiences and pursuing her passions, took on a surprising opportunity as a teenager. She was approached by a talent/modeling agency while visiting family in Atlanta. “I never wanted to become a model when I was younger, but I gave it a shot because I always liked trying new things,” she says. She spent two years in the modeling world of New York before coming to a crossroads: continue modeling in Europe or go back to school. Godale graduated from Baldwin Wallace University with a double major in biology and neuroscience. 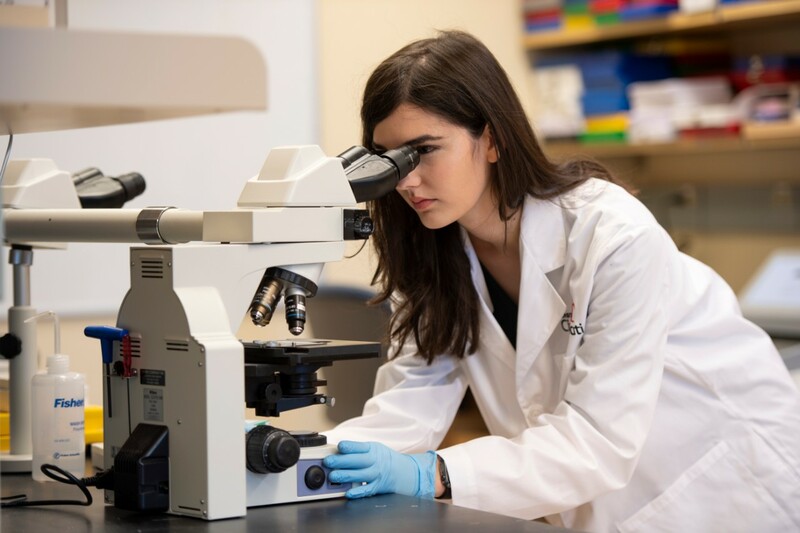 In her senior year, she interned at the NASA Glenn Research Center in Cleveland, working on a project studying intracranial pressure and visual impairment in astronauts. Looking to pursue her PhD in neuroscience and work alongside leading epilepsy researchers, she sought out UC. 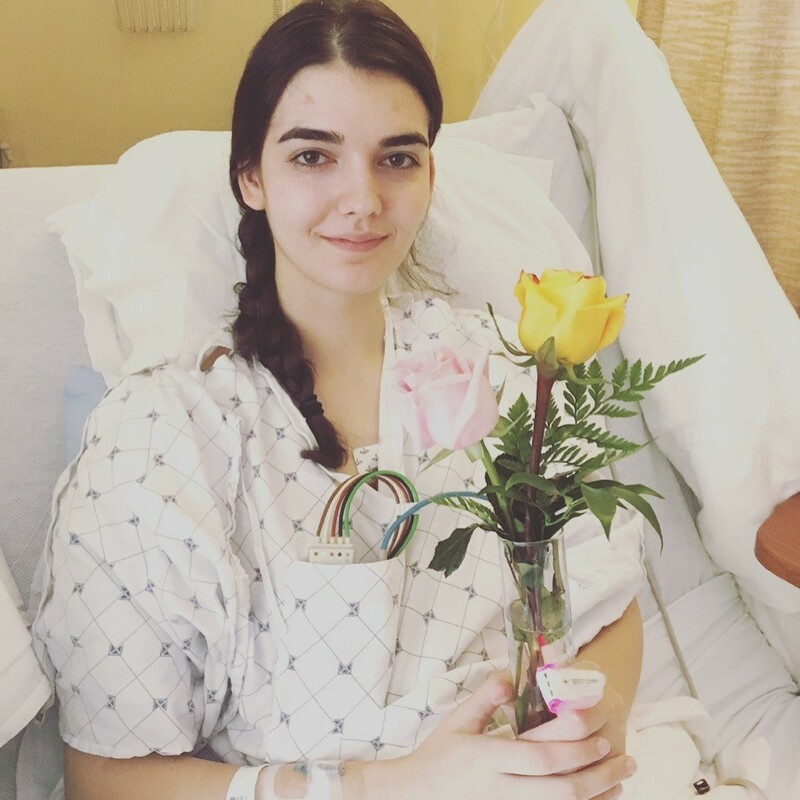 She also wanted to ensure she’d have a good care team for herself, and once she settled in Cincinnati in 2016, became a patient of Michael Privitera, MD, director of the UC Epilepsy Center, and professor of neurology in the UC College of Medicine. The UC Epilepsy Center is the only adult level IV center in the region, the highest possible rating as recognized by the National Association of Epilepsy Centers. As a neuroscience graduate student, Godale currently works in the Danzer lab, a Cincinnati Children’s research lab run by Steve Danzer, PhD, an associate professor in UC’s Department of Anesthesiology and Children’s Department of Anesthesia. He is also the director of the Center for Pediatric Neuroscience at Cincinnati Children’s. “We focus on looking for new or novel antiepileptic therapies, through different cellular pathways,” says Godale. Her current research focus is on identifying new therapeutic targets for at-risk epilepsy patients—how might treatments inhibit the development of epilepsy in the brain. Currently, Christin has published one peer-reviewed first-author publication. 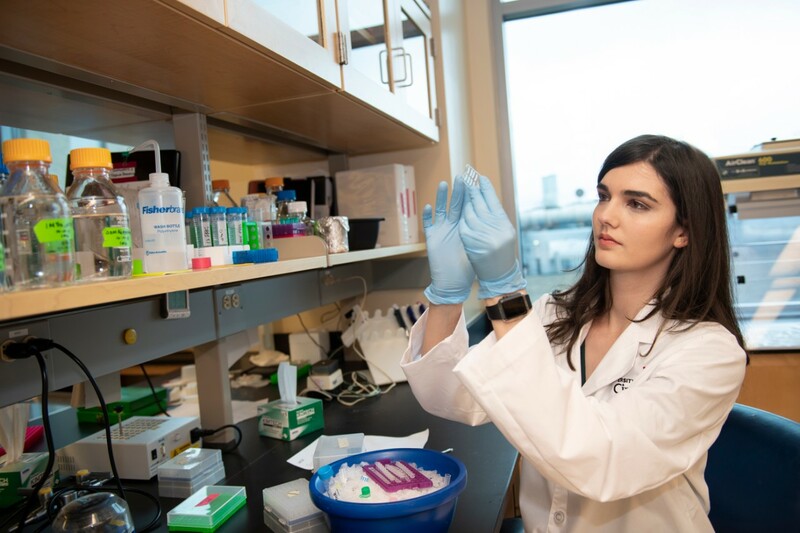 She has presented her research at the UC Gardner Neuroscience Institute, the UC Graduate Student Research Forum and the prestigious Gordon Research Conference on Mechanisms of Epilepsy and Neural Synchronization. Danzer says that during their first year in the UC Neuroscience Graduate Program, students rotate through several research labs, spending 2 to 3 months in each to understand the technology and get a feel for the environment. Student then select a lab for their doctoral studies. There are nearly 60 neuroscience labs between UC and Cincinnati Children’s. 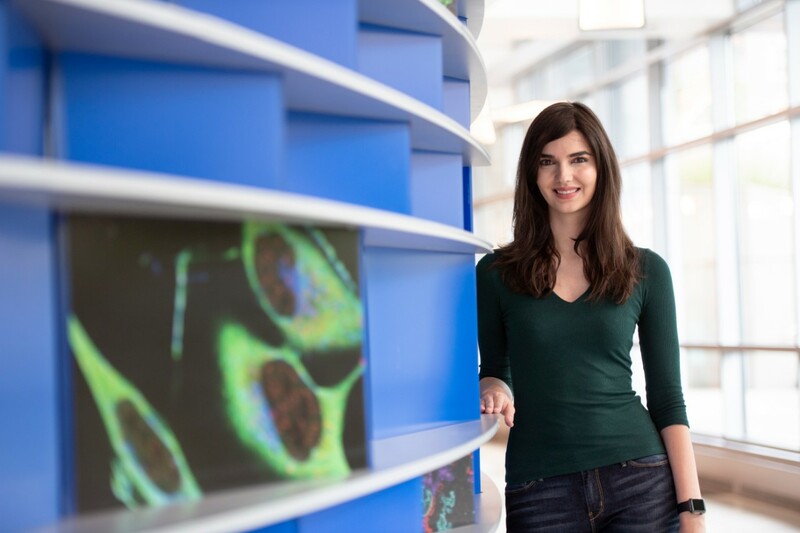 Godale, now in her third year of graduate studies, has worked with the Danzer lab since 2016. “She is extremely passionate about research. She will also be a great advocate for epilepsy research by bringing her unique view to the table—both her own experience as a person with epilepsy, and as a scientist,” says Danzer. And 2018 has proven to be a big year at UC for Godale. In July she was named a graduate student trustee of the UC Board of Trustees for a two-year term. This summer she also completed her two year milestone and became a doctoral candidate. This allows her to declare her dissertation focus and form her doctoral committee. As if that weren’t enough keeping her busy, in September, she married Kevin Burton, who received his master’s degree in political science from UC in 2012. Privitera also invited Godale to serve on the UC Epilepsy Center’s Community Advisory Board. “In terms of her epilepsy, she is not perfectly controlled, but she is like a supergirl, accomplishing great things despite her seizures," he says. “Having seizures can be scary. They are so spontaneous,” she adds. For example, in October 2017, she was sitting on the couch watching TV with Burton when she went into status epilepticus—having continuous seizures without time for the brain or body to recover. He scooped her into his car and took her to UC Medical Center, where she stayed under observation in the Neuroscience Intensive Care Unit for three days. Privitera notes that the treatment team used advanced video/EEG equipment of the epilepsy monitoring unit to closely observe her seizures and shut down the status epilepticus as soon as possible, and block its recurrence. And recovering from a seizure can take a lot out of you, she says. “Sometimes it is hard to get people to understand the recovery time needed.” But she says overall her mentors and lab have been very accommodating throughout her studies. 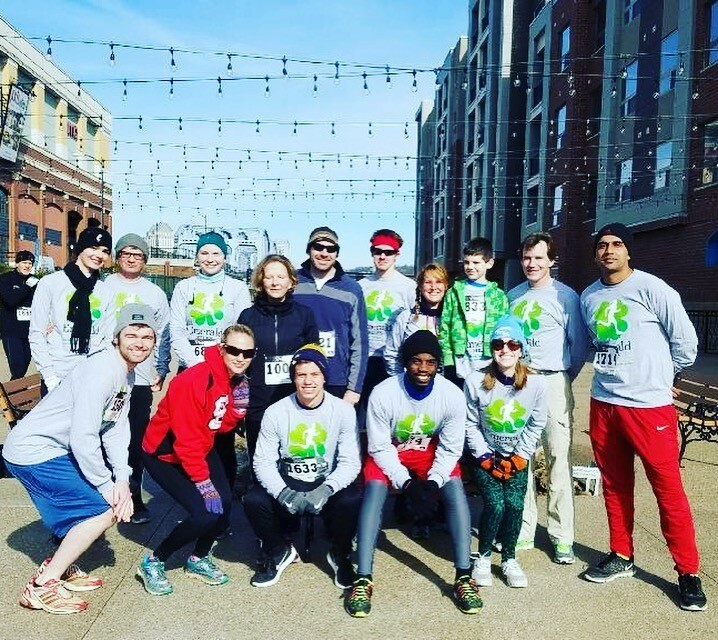 Emerald Miles 5 k for Epilepsy Foundation 2017. Pictured top left is Godale with participants from the labs of Steve Danzer and Christina Gross. Godale’s term will run two years and she is on track to complete her PhD in 2021. Featured images of Christin Godale in the lab at top, and within story.